Mason notes that this reflects issues raised by the European Parliament’s PEST Committee, which was set up in response to the concerns raised by the European Citizens’ Initiative to ban glyphosate, and the Monsanto Papers (internal Monsanto documents disclosed in cancer litigation in the USA revealing how industry has subverted science). The IARC’s evaluation relied heavily on studies capable of shedding light on the distribution of real-world exposures and genotoxicity risk in exposed human populations, while the EPA’s evaluation placed little or no weight on such evidence. In the wake of the IARC’s evaluation, there has been an industry-orchestrated attempt to discredit or even destroy the agency. You can read here – The European Regulatory Authorities are colluding with a corporation involved in the Holocaust – the document that Mason has submitted to the European Ombudsman. 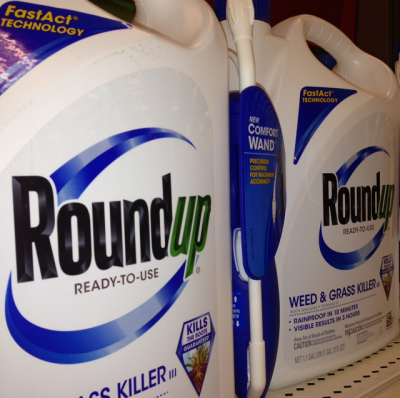 It includes all of her recent correspondence with various regulatory agencies (and their responses) that outline concerns about the toxicity of glyphosate and some of the methods that have been used to keep it on the market. Mason has also written a scathing open letter to Bayer CEO Werner Baumann. You can read the open letter here (Monsanto was recently incorporated into Bayer).